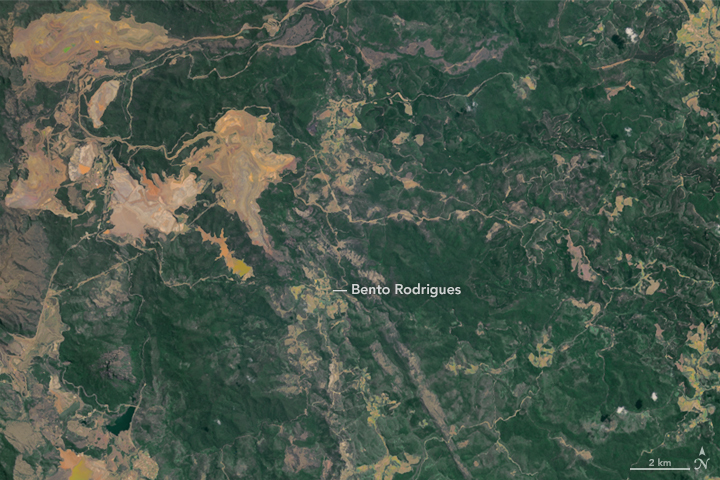 On November 5, 2015, two dams collapsed in southeastern Brazil, sending a torrent of mining sludge through the village of Bento Rodrigues. The muddy floodwaters from an iron ore mining operation destroyed hundreds of homes, killed some residents, and left others missing. 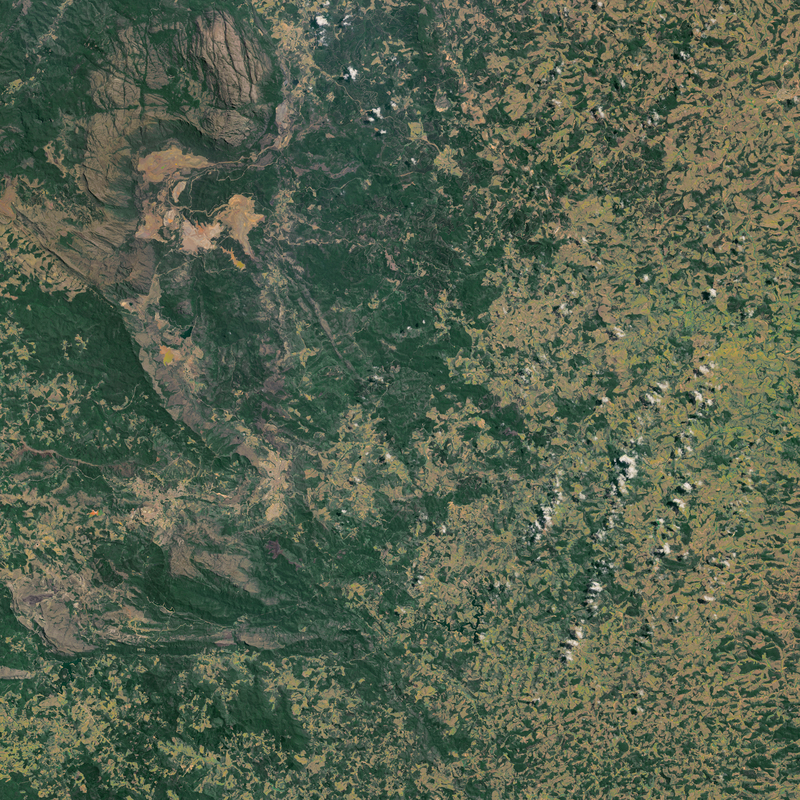 The Operational Land Imager (OLI) on Landsat 8 captured these natural-color views of the village and the surrounding region. 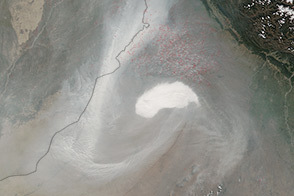 The top image shows the area on October 11, 2015; the second image shows the area on November 12, after the catastrophe. Turn on the image comparison tool to see areas where mud and sludge was still visible a week after the dams broke. The Wall Street Journal reported that 60 million cubic meters of wastewater were unleashed, with most of it affecting Bento Rodrigues. The village is located close to the breach, and sits in a river valley just below one of the dams. 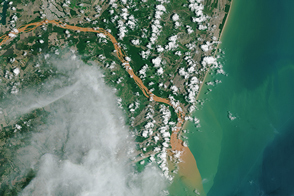 The effects of the flooding were felt far beyond Bento Rodrigues. 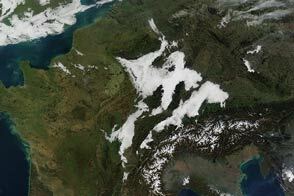 The image shows multiple rivers, far from the village, that remained swollen with wastewater and mud. 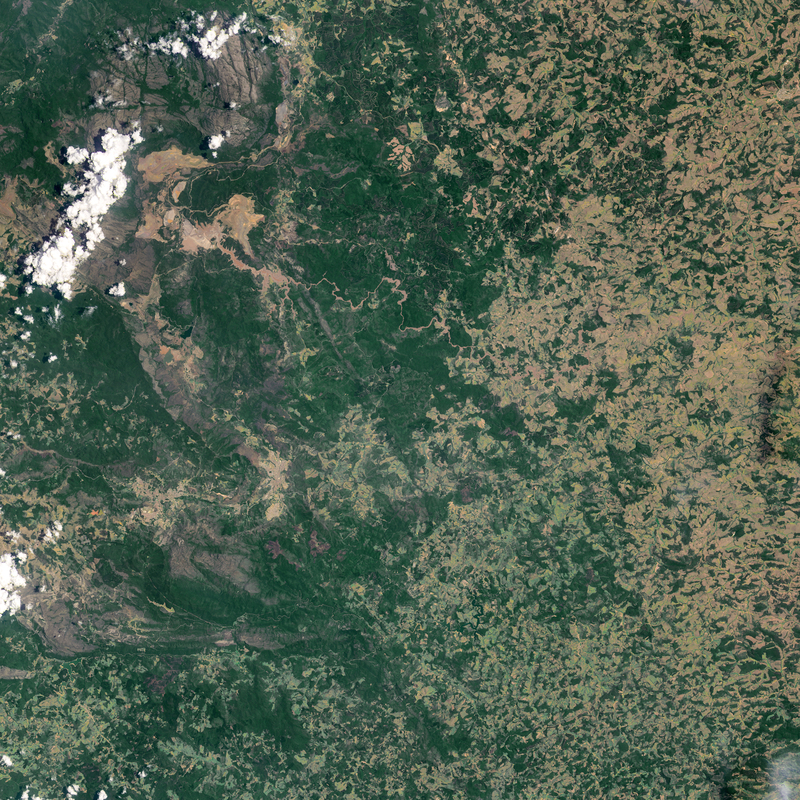 East of this image, in Barra Longa—a village about 80 kilometers (50 miles) from the dams—the river surged as much as 15 meters and flooded homes, according to Reuters. As health officials conducted tests, cities as far as 300 kilometers (200 miles) downstream lost access to drinking water. As of November 12, 2015, rescuers had recovered the bodies of nine people, according to ABC News; 19 people were still missing. 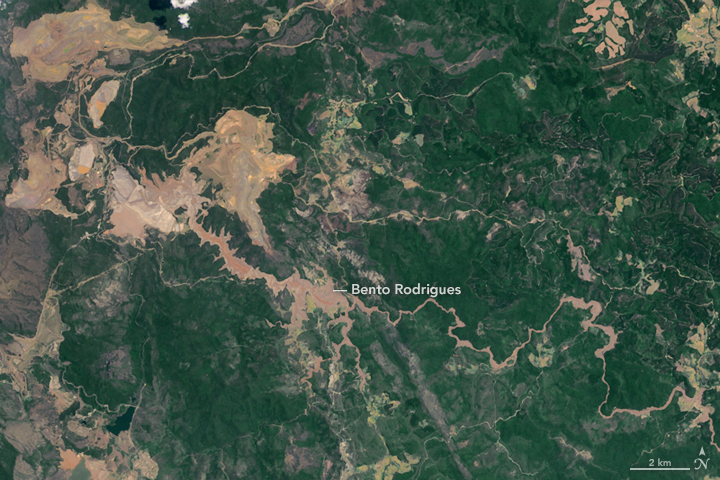 Brazilian villages and rivers are inundated with mud after mining dams burst. 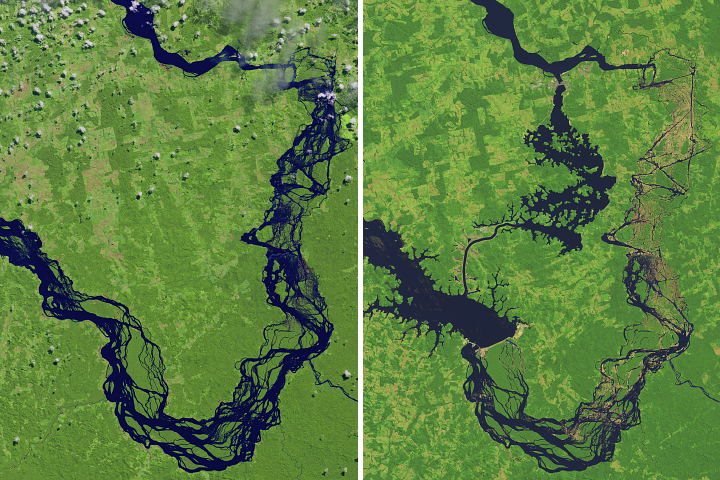 BBC News (2015, November 9) Brazil dams burst: ‘Hopes of finding survivors fading.’ Accessed November 13, 2015. 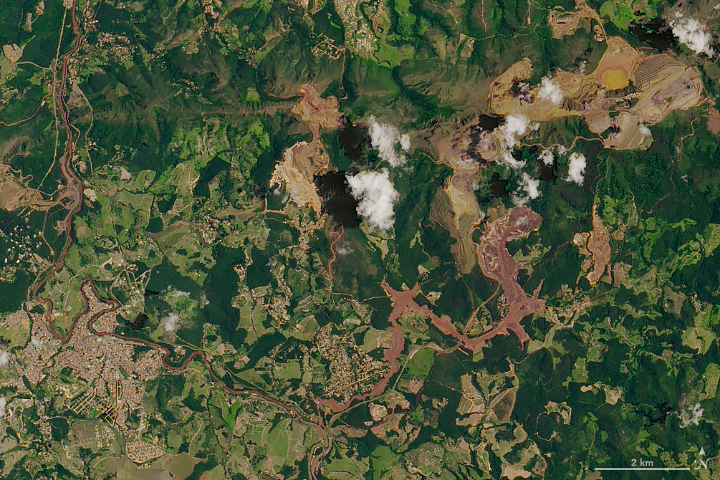 Reuters (2015, November 9) Brazil mine dam burst endangers water supply far downstream. Accessed November 13, 2015. Reuters (2015, November 8) When the river flowed backwards: a town in Brazil mining flood. Accessed November 13, 2015. The Wall Street Journal (2015, November 6) Brazil Searches for Missing After Dam Breach. Accessed November 13, 2015.